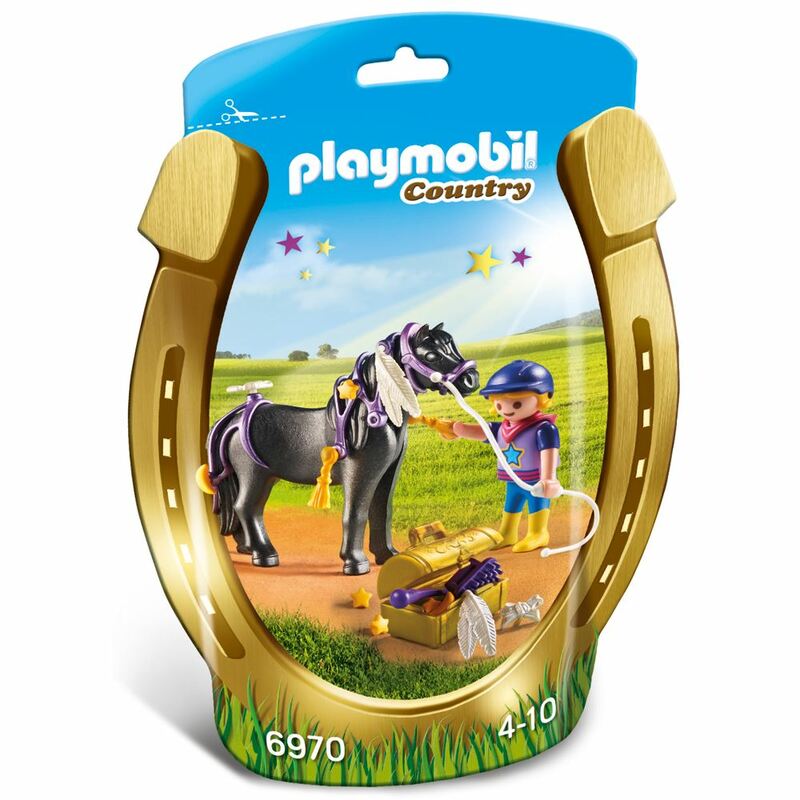 Let Star Pony shine with this Playmobil Groomer and Star Pony set. Open the yellow trunk to reveal a pony brush and pretty yellow stars, feathers and other glamorous accessories to attach to Star Pony’s harness. Includes: a figure, pony, pony hair brush and accessories. Part of the Country and Pony range. Age 4+ years. Distributed in New Zealand by Holdson.